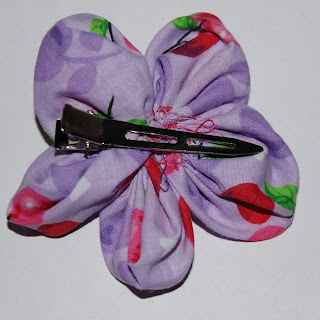 This weekend, it has been my privilege to participate in the Royal Purple Freedom Blog Hop ... an amazing event that has called attention to the societal issue of Domestic Violence. Please scroll down to my June 10 posting for more important information on this cause, and the blog hop. 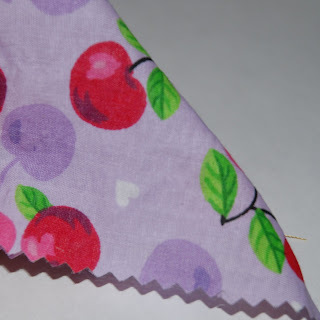 If you'd like to help, and be eligible to win generous prizes, please see the purple info square at the top right of my blog. First, allow me to say that I learned how to do this on the Internet. 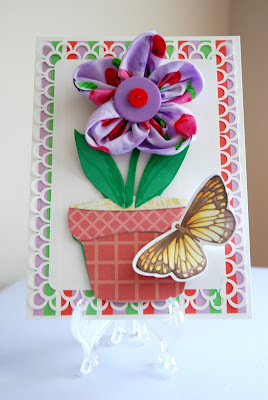 For the life of me, I can't recall which site showed how to make this flower ... thank you, whoever you are! and I also used my pinking shears to avoid fraying. Squares are cut at 4"x4". depending on the size of the flower you desire. "good side" out. Keep the folded edge at the top. 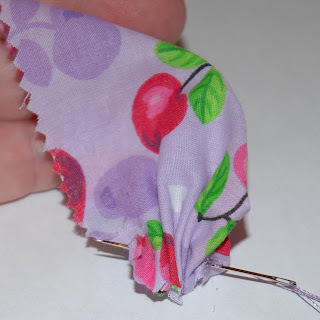 lightly baste and gather up your fabric. Do not baste along the folded side. Form the petal as you're going along. whip stitch a couple of times to hold your petal in its desired position. to form a finished 5-petal flower. On the right side of the flower, stitch on button(s) as you wish. 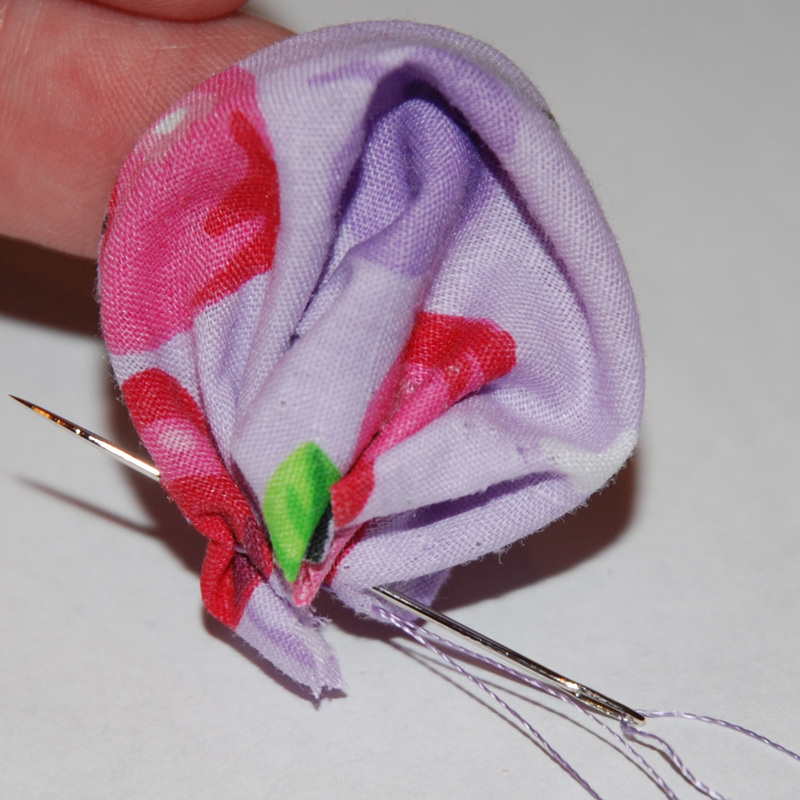 by stitching it in place, keeping the top (clipping arm) free. ﻿ I hope this has been helpful for you. 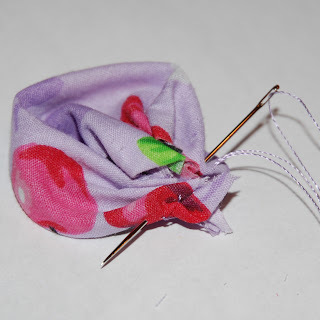 I plan to make several of these cute flowers and use them on a headband I'm making for baby Charlotte. 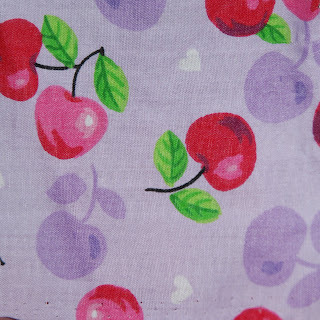 The headband will match a dress and bloomers I'm making too -- as soon as I get the time!! Now, back to info on the HOP ... I have been so moved by the stories of survival my fellow hoppers have shared here and privately, that I am compelled to spend the rest of my cardmaking month on cards for this cause. Cards made for this event are due by June 30; my goal is to make at least 2 dozen cards -- one for each woman we hope to help through this outreach. I'll post them as I finish ... there may be some duplicates I make, so I'll only be posting one of each design. Then, on July 1, I plan to celebrate both my Blogaversary (June 24) and my 17th personal Independence Day. You see, on July 1, 1994, I ran from an abusive marriage. It took courage, strength, and faith to leave. This year marks the turning point for me -- just this year starts the first year that I have been OUT as long as I was IN that relationship. It's also the first year that I've been able to speak about the abuse I experienced that led up to the marriage, as well as the abuses I suffered there. And how abuse changes us in ways that are both unspeakable and joyous. Prayers to those who need them, and gratitude to those who understand and still pray. SCROLL DOWN to go to the Hop ... many women have left their cards posted (even though it was only supposed to be a one day [June 10] hop. There is still opportunity to win prizes and to comment on the cards of inspiration. Thank you for sharing how you made the flower but more importantly sharing a part of your story!! I have been "out" for 2 1/2 years now but still fasting things head on. I want my story to be used to help other woman find the courage to get out. I know that everything happens for a reason and that God turns bad into good. Thanks for making a difference!! Freedom from abuse is really something to celebrate and be thankful for. I'm so glad you were able to leave that abusive relationship. I was in an abusive relationship in high school and although I've been out of it for over 30 years, I can still remember how I felt and understand how women can have a very difficult time getting out. TFS! I'm so sorry you had to go through that, Ellen, but I wish you strength and opportunity as you go forward and help others.